1932. 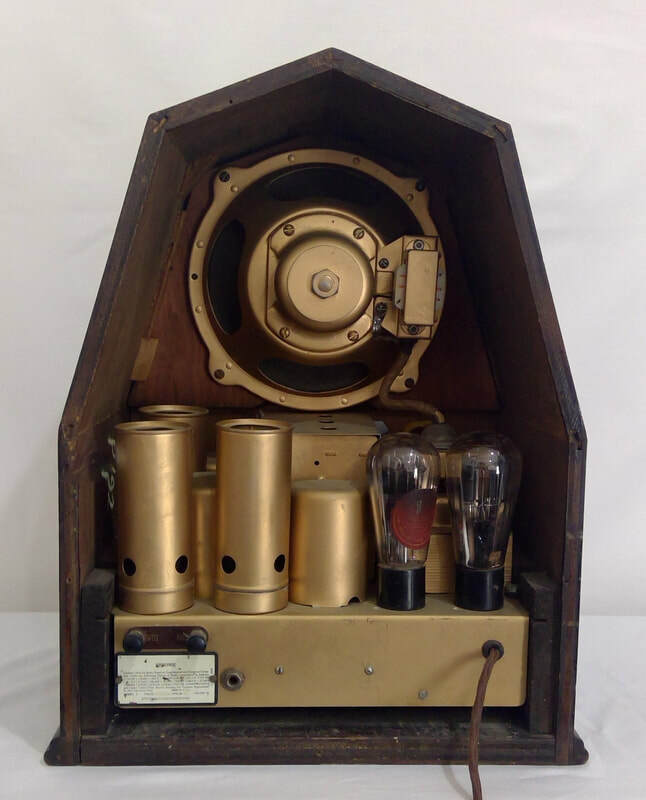 It is a super-heterodyne AC main (230 volts) and uses Loften-White, USA circuitry, Model P with a 5 stage valve line up including globes. 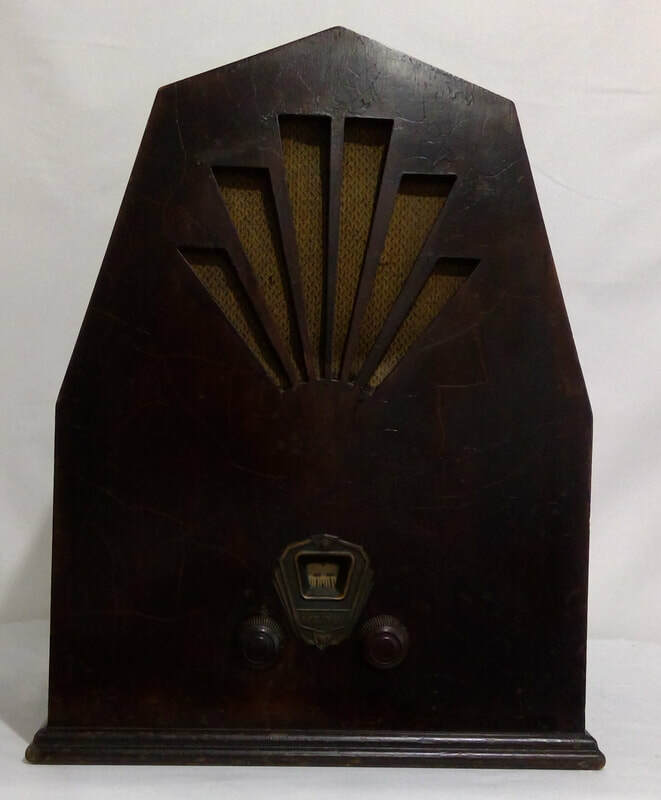 The style is a wooden cathedral, wedge wood construction mantel radio. It has transformers, power and audio rewound to original manufacturers specifications. The original gold painted chassis and valve cans have been enhanced. Dimensions (HWD) 465mm x 370mm x 245mm.